With the widespread adoption of highly active antiretroviral therapy (HAART), HIV infection starts to be considered one of the many chronic illnesses of advanced age. A growing proportion of the affected patients is presently older than 50. It has been suggested that HIV infection may today represent a model of accelerated and accentuated ageing. The need for a closer collaboration between geriatricians and HIV physicians is being growingly recognised to better address the priorities and needs of HIV patients. The final aim behind the generation of such synergies resides in the design of personalised plans of interventions. These plans should stem from the results of a comprehensive assessment of the individual spanning clinical, environmental, and psychosocial domains. Through the early identification of stressors and risk factors potentially disrupting the homeostatic balance of frail patients (including those living with HIV), it might be possible to protect the “biologically old” (but not necessarily “chronologically old”) HIV-infected people from developing detrimental geriatric syndromes. In this article, specific features making the ageing HIV population of special interest for geriatric medicine, and the importance of a multidisciplinary model of care are described. The final objective is to stress how the only way for adequately tackling the multifaceted frailty condition of people with HIV is to implement novel models of care based on the comprehensive geriatric assessment. It was estimated that, by the end of 2016, about 160,000 people in Europe were newly diagnosed with HIV infection. Rates of people diagnosed with HIV were highest in the East of the Region (50.23 per 100,000 population) and lowest in Central Europe (2.9 per 100,000). For men, male-to-male sexual contact remains the main mode of transmission at all ages. For women, the main cause is represented by heterosexual contact; older women are particularly exposed to the risk of HIV acquisition because of specific conditions, such as atrophic vaginitis and dangerous sexual behaviours . To date, HIV infection is often underestimated and underdiagnosed in older patients. Clinicians frequently do not consider the possibility of this infection. At the same time, low-grade fever, gradual weight loss, and weakness represent common signs and symptoms that may also be justified by comorbidities. Clinicians are used to designing the diagnostic process toward the identification of cancer or autoimmune diseases, neglecting the possibility of HIV infection. As a result, about 50% of the adults aged 50 years and older is diagnosed late, leading to delayed prescription of specific therapies, development of complications, and eventually death [1, 2, 3]. With the widespread adoption of highly active antiretroviral therapy (HAART), HIV infection is no longer a fatal disease with short-term prognosis. Rather, HIV infection has today evolved into a “chronic illness”. The survival of HIV-infected persons has steadily increased over the past decades, and their life expectancy is presently approaching that of the general population. Data originated from the international collaboration of HIV observational cohorts (18 European and North American HIV-1 cohorts) including patients starting combination antiretroviral therapy (ART) between 1996 and 2013, show that the life expectancy in patients responsive to HAART is approximately 78 years . Not surprisingly, a growing proportion of HIV-infected patients is now older than 50. This age was extremely unlikely to be reached when the HIV epidemics exploded in the 1980s. Today, this threshold is used in HIV-related literature to label a person as old. It implicitly reflects: (1) how HIV infection may represent a model of accelerated and accentuated ageing, and (2) the major scientific and medical improvements in the field. On the other hand, it is unavoidable that the care of patients with HIV infection is changing and will continue to develop in the near future. The comprehensive assessment of the individual (including clinical, environmental, and psychosocial evaluations) as well as the integration of care in the design of personalised plans of interventions are today commonly considered in HIV medicine. The geriatric expertise has been contaminating HIV physicians and a “Geriatric HIV-Medicine” has even been proposed . Under this scenario, the early identification of stressors and risk factors potentially disrupting the delicate homeostatic balance of frail patients living with HIV is crucial. Only in this way it will be possible to preserve “biologically old” HIV-infected patients from developing “catastrophic” geriatric syndromes . Frailty is a geriatric condition nested in the process of ageing; it mirrors the biological ageing of the individual and is responsible for the increased vulnerability to stressors due to reduction of homeostatic reserves [6, 7]. The prevalence of frailty has been estimated to range 5–28%  depending on the settings and frailty models adopted. The frailty status of the individual tends to worsen with ageing, and this phenomenon seems particularly marked in HIV-positive persons. The reason for the earlier and more rapid progression of frailty in HIV-positive people may be related to the infection itself, the frequent multimorbidity of the affected individual and the consequent polypharmacy, and various social issues (including isolation and unhealthy lifestyles). It is also noteworthy that the longer survival today experienced by HIV patients exposes them to an increased risk of developing clinical conditions (e.g., cardiovascular disease, pulmonary disease, osteoporosis, cancer, and geriatric syndromes) once virtually unknown in this population. Furthermore, immunosenescence a common trait of characterising older persons is surely a contributor to the onset of a frailty status and can increase the risk for incident infectious and chronic diseases . The presence of HIV infection on the top of the physiological decline of the immune system may at least partly explain the consequent accelerated and accentuated ageing experienced by HIV-positive people . Several methods have been validated in the literature for identifying and measuring frailty. The best known model is the so-called frailty phenotype, proposed and validated by Fried and colleagues [11, 12]. This mono-dimensional model is largely focused on the physical domain and is based on the evaluation of five predefined criteria: slow gait speed, poor muscle strength, low physical activity levels, loss of stamina, and weight loss. Although this instrument has been used for measuring frailty in HIV-positive patients, its validity and relevance might be argued for such a use. The phenotype was designed and validated for a different population than chronologically young persons with HIV infection. The definition of the five criteria was designed for frail older people and might not be tout court extended to younger people with HIV infection. Moreover, the criteria were operationalised and validated in the Cardiovascular Health Study, a cohort study that has nothing to do with HIV-positive persons. There is another model of frailty that has gained increasing relevance and interest, which is based on the so-called Frailty Index. This instrument translates frailty using an arithmetical approach aimed at measuring the age-related accumulation of deficits (i.e., signs, symptoms, diseases, disabilities, and laboratory abnormalities) of the individual [13, 14]. This quantitative (and not qualitative) model proposed by Rockwood and Mitnitski grounds its roots in the organisation of a critical mass of information deriving from a comprehensive geriatric assessment. As such, the resulting index provides a multidimensional evaluation of the ageing individual, independently of his/her chronological age and established diseases. Not surprisingly, the Frailty Index has also been applied to animal models to support translational research on ageing [15, 16]. In the past few years, the Frailty Index has been used to measure the biological ageing of HIV patients [17, 18]. If frailty is envisioned as a multidimensional condition, potentially differentiating the chronologically old individual from the one that is biologically old (independently of the years of life he/she has lived), this term may assume special value for geriatric medicine . Frailty might become the condition for discriminating whether the individual may benefit from standard care or rather better need an adapted approach (i.e., more respectful of the individual’s peculiarities, needs, reserves, and weaknesses) . In other words, frailty may become the umbrella defining the perimeter of action for the geriatrician’s work. It means that a patient with excessive accumulation of deficits may be recognised as in the need of the geriatric expertise and methodology, independently of his/her age [20, 21]. Under this scenario, it is not difficult to imagine a closer and closer interaction between HIV and geriatric medicine, as paradigmatically suggested by Guaraldi and Rockwood in a recent work entitled “Geriatric HIV-medicine is born” . But which are the specific features of HIV-positive patients making them frail and similar to the traditional target population of geriatricians? Going beyond the theoretical accumulation of deficits, it is evident that HIV patients often present with typical geriatric syndromes, for which the geriatric background and experience may provide valuable solutions and/or suggestions. Relevant examples are illustrated in the following sections. Similar to older adults, HIV-positive patients frequently present multiple comorbidities, determining an increased use of medications. As also reported in the geriatric literature, the number of medications used by the individual is directly associated with the risk of adverse drug reactions [23, 24]. Polypharmacy is a typical geriatric condition and is commonly defined as the use of five or more medications. Based on the available evidence, polypharmacy is very common among HIV patients, with studies reporting a median number of 13 medications per person [25, 26]. As mentioned earlier, the risk of drug reactions is not only related to the number of medications, but also to the pathophysiologic modifications occurring at the organismal as a consequence of ageing itself. The ageing organism undergoes multiple changes in body composition with increase in adiposity and depletion of lean mass. Elevation of gastric pH, decrease of serum albumin levels, and modification of the cytochrome p450 enzyme system are also typical of advanced age. All these changes can lead to a higher risk of drug intoxication due to the increased accumulation and decreased ability of drug clearance [1, 22]. The physiological decline of hepatic and renal function may also play a role in the higher probability of drug intoxication. All these examples can apply to the general population as well as to HIV patients, except that these latter frequently experience the changes in a particularly enhanced way. In geriatric clinical practice, one golden rule is to “start low, and to go slow” in the implementation of therapies. The cautious approach to pharmacological therapy and use of medications is justified by the attempt of limiting adverse drug reactions in a population that is also traditionally excluded from clinical trials (thus with a limited amount of supporting evidence). To reduce polypharmacy and limit its detrimental effects on the ageing individual, physicians should always evaluate prescription medications at each clinical contact. It is important to understand the reason why each specific medication was prescribed, check its appropriateness according to the current status of the patient, assess possible drug interactions, and possibly reduce the number of medications. The process should be driven by the idea that the wellbeing of the individual may be more realistically reached through a holistic approach. It is thus important to harmonise the available evidence into a therapeutic plan where the patient’s values and priorities are pivotal over the treatment of single diseases. Only in this way, it will be possible to adequately consider the biological, clinical, and societal complexity of the ageing individual. In the attempt of properly designing a therapeutic plan, it is always important to verify the compliance/adherence of the patient to treatment and the presence of social support for ensuring correct drug administration . HIV patients are very likely to be exposed to polypharmacy. It is sufficient to remind that the typical anti-retroviral treatment is already based on three medications. Interestingly, some studies report that older patients with HIV infection are more adherent to prescriptions than younger ones, which are at higher risk of interrupting HAART. The reason for the lower adherence in young age is still unclear, although social aspects are likely to play a role . Falls are very distressing events frequently occurring in older individuals and represent a major risk factor for negative outcomes, including functional loss, incident dependency, and death . Falls in old age usually occur as a consequence of multiple interrelated factors, such as comorbidities (i.e., osteoarthritis, metabolic syndrome, pain, depression, and sarcopenia), functional impairments (i.e., poor vision, sensory loss, and hearing impairment), and polypharmacy. It has been reported that the rate of falls among adults with HIV infection is similar to that of older HIV-uninfected adults . Besides presenting strong similarities with older persons in the clinical exposures to the risk of falls, HIV patients frequently show altered bone metabolism. It is reasonably caused by the interaction between endogenous (i.e., decreased intake of calcium, low concentrations of vitamin D, and low testosterone levels) and exogenous (i.e., alcohol use, smoking, and sedentary behaviour) factors [28, 29]. The high prevalence of osteoporosis and osteopaenia makes HIV patients particularly exposed to the risk of bone fractures. Moreover, HIV patients are exposed to major body composition modifications. In particular, those receiving ART are at increased risk of lipodystrophy, characterised by adipose tissue redistribution, intramuscular fat infiltration, central obesity, and insulin resistance [1, 30, 31]. During the clinical assessment, patients at risk for falls (and the related physical impairment) should be identified and assessed to identify the underlying causes of the risk profile, independently of the presence of HIV infection. A multidimensional approach is thus crucial for the prevention of physical decline and falls. HIV patients are at risk of developing the so-called HIV-associated neurocognitive disorders (HAND). The exact prevalence of these conditions and the underlying pathophysiology are still unclear. It has been hypothesised the HIV may play a direct negative effect in the central nervous system. The virus may directly act on the brain during the acute infection. The resulting up-regulation of the inflammatory cascade with infiltration of macrophages and direct infection of astrocytes may represent the triggers for the cognitive dysfunction . It is also possible that HAND may be sustained by opportunistic complications of immunodeficiency. The resulting cognitive impairment is characterised by the sub-acute onset of subcortical dysfunctions, such as lack of attention, reduced concentration, and progressive slowing of psychomotor capacity [32, 33]. The most severe cognitive complication of the HIV infection is a specific form of dementia. Before the introduction of HAART, HIV-related dementia affected 50–70% of patients with AIDS. In the post-HAART period, the incidence of this type of dementia has significantly decreased [33, 34]. As occurring for the general population, in HIV patients, cognitive disorders are difficult to detect and the diagnostic process is quite challenging. Several tests have been used for measuring cognition in HIV patients, and some have specifically been designed for this population [e.g., the International HIV Dementia Scale (IHDS), the Simioni Symptoms Questionnaire (SSQ), Cognitive Assessment Tool-Rapid (CAT-Rapid)], while others have been taken from traditional scales [e.g., Montreal Cognitive Assessment (MoCA)]. With the longer life expectancy, it is today possible to find HIV patients with age-related forms of dementia, although more precociously developed compared to older uninfected individuals. In particular, HIV patients present a wide spectrum of cardiovascular and metabolic risk factors that are potentially responsible for vascular or mixed dementia. Another cognitive alteration frequently occurring in HIV patients is delirium. It is quite common in this population with a prevalence of 10–15%. Like in older HIV-negative persons, risk factors for delirium in HIV-positive individuals include older age, the presence of comorbidities, polypharmacy, malnutrition, electrolyte abnormalities, and sensory impairment . Older HIV patients are particularly exposed to the risk of delirium given the frequent occurrence of other predisposing/precipitating factors such as increased intracranial pressure due to central nervous system infection (e.g., toxoplasmosis, cytomegalovirus), hypoxia due to infection by Pneumocystis jiroveci, drug intoxication, and HAART toxicity . Consistently with the recommendations for the management of delirium in older persons, HIV patients with acute onset of psychiatric symptoms should be explored for the possible causes of the sudden change. In the case of HIV patients, it will then be important to consider possible clinical causes related to HIV infection through laboratory and toxicology tests as well as neurological examination (including brain imaging) for the identification of modifiable factors. In this context, it is important to remind that the prescription of antipsychotic medications should be very carefully evaluated in older persons. Even if chronologically younger, HIV patients are similarly exposed to the risk of major adverse reactions from the use of these drugs. In particular, HIV patients might be very sensitive to antipsychotics due to the damage to basal ganglia altering their pharmacodynamics . Over the past decades, HIV infection is evolved from a fatal disease into one of the many chronic conditions of old age. 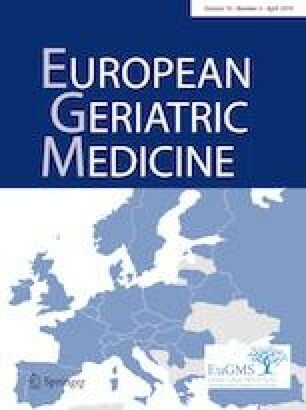 It is thus unavoidable that models of care devoted to the affected patients need to evolve themselves and include key concepts of geriatric medicine (in particular, the management of frailty) into their clinical routine. The recognition of frailty (even indirectly via the identification of a geriatric syndrome) should drive the intervention plan towards a multidisciplinary model of care. In this context, different professionals and specialists should interact and generate synergies with the final aim of designing a person-tailored intervention respectful of the patient’s resources and needs. The birth of a geriatric HIV medicine will be beneficial for both specialties. Indeed, HIV physicians will benefit from decades of knowledge accumulated by geriatricians in the management of conditions that are today severely burdening their clinical routine. The changing scenarios in their discipline impose a modification of the approach to their disease of interest, which is today a chronic condition of an ageing population. On the other hand, as already occurred in other multidisciplinary environments (e.g., ortho-geriatrics and onco-geriatrics), geriatricians will be able to give value to their specific expertise in the management of conditions extremely familiar to them. They will be in the position of better characterising/qualifying their work by identifying a specific target (i.e., frailty) for their traditional methodology (i.e., comprehensive geriatric assessment). Last but not least, patients with HIV will have all to gain from the interaction between geriatricians and HIV physicians. They will be treated and followed in a more personalised way within a system of integrated services, thus benefiting from the expertise of multiple, interacting specialists. It means that the HIV patient will be at the centre of action of the healthcare system. Clinicians should always consider the biological age of their patients, therefore, their homeostatic reserves, and not only the chronological criterion; moreover, the care planning should not address a single medical issue: an interdisciplinary assessment is needed not to harm people with “overmedicalisation” . In older patients, medical complexity is not related to the mere chronological age; a geriatric approach may help with the personalisation of clinical interventions, creating new care planning, sometimes in conflict with the evidence-based medicine and its guidelines. An healthcare system in which different specialisations work together with active collaboration is necessary to offer older people with HIV a better quality of life. The authors certify that they have no affiliations with or involvement in any organisation or entity with any financial interest in the subject matter or materials discussed in this manuscript. This study is not under consideration or has not been previously published elsewhere, and its contents have not been anticipated by any previous publication/presentation. All the authors have read and agreed to the manuscript as written.